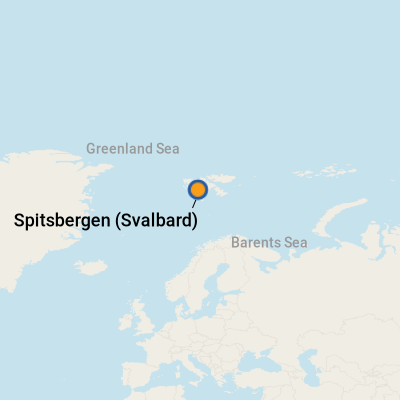 Svalbard is the official Norwegian name for the island archipelago located 600 miles north of Norway's North Cape, but most of the outside world knows the place as Spitsbergen, which is, in fact, the name for the largest island in the chain. Svalbard attracts a considerable number of visitors in the height of summer. They come for the scenic mountain wilderness of ice and snow that is home to a great variety of wildlife on land, in the sea and often in the air. The islands were named Spitsbergen ("sharp-pointed mountains") by a Norwegian, Wilhelm Barentz, in 1596 and were soon after visited in 1605 by Henry Hudson, who reported an abundance of whales. A whaling industry established by the Dutch, English, Norwegians and Russians began almost immediately and expanded to include the trapping of walruses and seals. Today, only Norway engages in whaling in these waters. The islands also became a base for polar research, as they lie halfway between the top of Norway and the North Pole. A number of expeditions by sea and early 20th-century airship flights left from Spitsbergen. In 1906, an American entrepreneur named John Monro Longyear established a coal-mining industry there, and he named what would become the island capital, Longyear City (now officially Longyearbyen). Norwegian and Russian interests also established mining claims, and the Russians still operate a mine at Barentsburg. At the Treaty of Versailles, Norway was handed administrative rights to Spitsbergen, and it assumed official oversight in 1925, changing the archipelago's name to Svalbard in the 1920s. Since the turn of the century, Svalbard has achieved a measure of local rule, administered by a locally elected Longyearbyen County Council. Longyearbyen (population: 2,200) replaced mining with tourism as the primary industry when regular air service was established in 1975. The town then transformed itself from a rough mining center to the attractive, colorful, small frontier town we see today, with many families settling there to engage in tourism, research and government services. Evidence -- some picturesque -- of now-abandoned coal mining facilities is still extant in a perimeter around the capital. Sixty percent of the islands are designated as national parks or nature reserves, and the landscape and wildlife are protected. The most numerous species of wildlife seen are polar bears, Arctic foxes, Svalbard reindeer, walruses, bearded and ringed seals, fin and blue whales, little auks, kittiwakes, fulmars and a variety of wading birds. The landscapes of mountains, fjords, glaciers, snow, sea ice and tundra are breathtaking. Two kinds of cruise ship passengers visit the islands in summer. 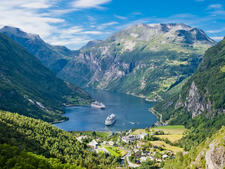 Those who arrive by large cruise liners on long voyages often make a single call at one of the three permanent settlements -- Longyearbyen, Ny-Alesund (a research station) or Barentsburg (a Russian mining camp) -- and then cruise the fjords and coastline without landing. Expedition cruise travelers arrive in small purpose-built ships and use Zodiacs to get close to the glaciers and wildlife or for hikes across the tundra. Some expedition vessels are based at Longyearbyen for all or part of the summer tourist season (June through August), while others embark passengers in mainland European ports. The eastern side of Svalbard experiences far more heavy ice conditions; hence, most cruise and expedition ships concentrate on the west side's coastline and fjords. 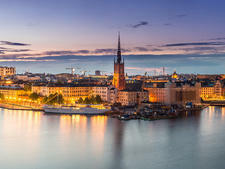 The summer climate, when most tourists visit, is quite mild for an area so far north, with daytime temperatures often above freezing and possibly rising to just above 40 degrees Fahrenheit. Rainfall is low, but summer months may experience fog. The midnight sun lasts from mid-April to mid-August. Longyearbyen has three uncovered piers. If there is more than one large vessel in port, one will have to anchor off with a very short launch transfer. Two of the three piers are within reasonable walking distance of the center of Longyearbyen, but buses will likely provide a shuttle service from any of the three. There are no facilities at the piers, as the town is very close. No one should go beyond the edge of town because of real danger from polar bears. If you venture out of Longyearbyen by any means of transportation or on foot, you must be accompanied by someone who knows how to use a rifle. That rule is simply a given, and there are no exceptions. When you do walk around town, you may come upon small Svalbard reindeer, as they often come into the edge of the settlement to graze. On Foot: It's a short walk into town, and most places there are reachable on foot. By Shuttle, Bus or Taxi: If you do not wish to walk from the pier into town, you can take a bus shuttle, tour bus or taxi. Once you're in town, most places are walkable. By Bike: You can also borrow a bike for free from the tourist office in the center of town (47 79 02 55 50). There is no local transit, and there are only 30 miles of roads. No roads lead from Longyearbyen to any of the other settlements, such as Barentsburg and Ny-Alesund. 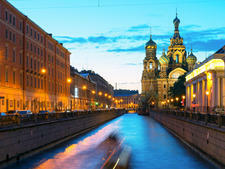 Travel to these destinations is by plane or boat in summer and snowmobile and dogsled in winter. In summer, the dogs are kept in an open kennel compound at the edge of town. If you're taking an expedition cruise that departs from Longyearbyen, you can find flights from Tromso and Oslo (Bergen) in mainland Norway. A bus transfer is provided between the airport and hotels or guesthouses. Currency is the Norwegian Kroner (NOK), but the shops in Longyearbyen will also accept euros. Major credit cards are fine, and there are ATM machines at the Spare Bank next to the post office in Longyearbyen. For up-to-date conversion rates, go to www.xe.com. The official language is Norwegian, but most Norwegians -- and certainly those with whom you will be in contact at Longyearbyen -- speak very good English. Food in Svalbard is expensive, and the best restaurants are in the main hotels. If you want to save money, try some of the smaller restaurants that do not cater exclusively to tourists; they may be a better value or at least a bit cheaper. The food served here appeals to the international clientele that visits the town, with a slant toward Norwegian cuisine, including fish, marinated seafood and meat. Specialties include reindeer and seal, and vegetarian meals are not easy to find. Fresh berries are a summertime treat. Norwegian-made goods include colorful knitwear (scarves, caps and sweaters), sealskin items, jewelry and art in the form of watercolors, oils and drawings. The polar bear is the top attraction in Svalbard, so anything that features one -- T-shirts, mugs, glassware, cloth napkins, pot holders and even zipper pulls -- makes a great gift. Generally, purchases are free of VAT and import duty, so some items may be cheaper than in mainland Norway. The Radisson BLU Polar Hotel (Vei 500, 47 79 02 34 50) has a decent gift shop. The Lompen Senteret (a small mall) in the town center has Gullgruva (47 79 02 18 16, Monday - Friday 10 a.m. to 6 p.m., Saturday 10 a.m. to 3 p.m., Sunday 11 a.m. to 3 p.m.) for Svalbard-designed jewelry, clothing and souvenirs, as well as Arctica (Postboks 355, 47 79 02 11 22, Monday - Friday 10 a.m. to 6 p.m., Saturday 10 a.m. to 3 p.m., Sunday 11 a.m. to 3 p.m.) for winter clothing and gear. RaBi's Bua (Postboks 385, 47 79 02 10 48), located on the main drag in town, is another good spot for clothes; it's open Monday - Friday 10 a.m. to 6 p.m., Saturday 10 a.m. to 3 p.m. and Sunday noon to 3 p.m.